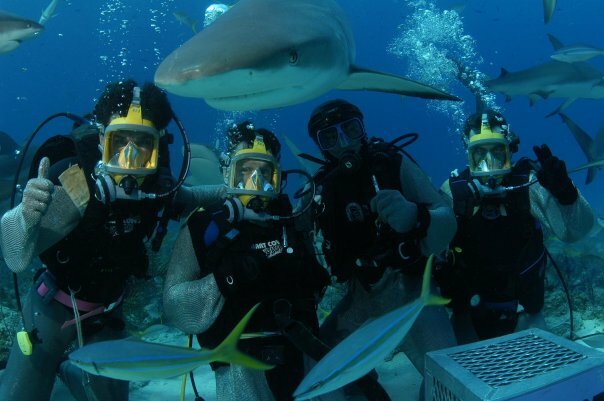 For filmmaker Rob Stewart, exploring sharks began as an underwater adventure. What it turned into was a beautiful and dangerous life journey into the balance of life on earth. Driven by passion fed from a lifelong fascination with sharks, Stewart debunks historical stereotypes and media depictions of sharks as bloodthirsty, man-eating monsters and reveals the reality of sharks as pillars in the evolution of the seas. 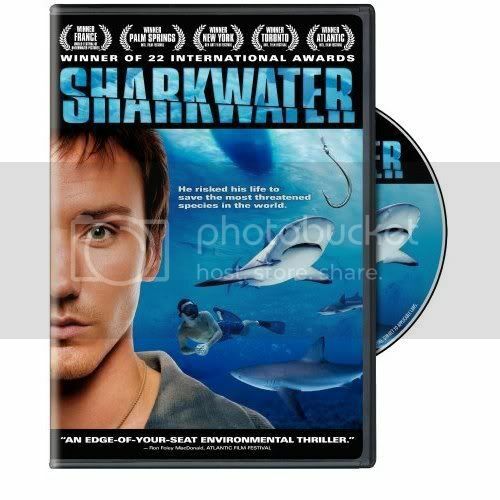 Filmed in visually stunning, high definition video, Sharkwater takes you into the most shark rich waters of the world, exposing the exploitation and corruption surrounding the world's shark populations in the marine reserves of Cocos Island, Costa Rica and the Galapagos Islands, Ecuador. In an effort to protect sharks, Stewart teams up with renegade conservationist Paul Watson of the Sea Shepherd Conservation Society. Their unbelievable adventure together starts with a battle between the Sea Shepherd and shark poachers in Guatemala, resulting in pirate boat rammings, gunboat chases, mafia espionage, corrupt court systems and attempted murder charges, forcing them to flee for their lives. Through it all, Stewart discovers these magnificent creatures have gone from predator to prey, and how despite surviving the earth's history of mass extinctions, they could easily be wiped out within a few years due to human greed. Stewart's remarkable journey of courage and determination changes from a mission to save the world's sharks, into a fight for his life, and that of humankind. Get the YouTube Videos 2.5 widget and many other great free widgets at Widgetbox! Since January, 2008 the Sea Shepherd Conservation Society and Bite-Back have been working to have shark fin soup pulled from the menu of Hakkasan, one of the top 20 restaurants in the world. Hakkasan has been selling shark-fin soup since 2001. This week Hakkasan has officially removed shark-fin from their menu in recognition of the reality that sharks face extinction because of the market for shark-fin soup. Bite-Back and Sea Shepherd have been lobbying Hakkasan since the beginning of the year. Fortified by recent support from fellow marine conservation group, Sea Shepherd, Bite-Back has extended its ambition to absolve the UK from the extinction of sharks, by inspiring all traders in shark products to stop. “If UK retailers adopt Bite-Back’s programme to halt the trade in shark products, we will have created a template for change that can be replicated across the developed world,” said Graham. To accelerate an end to the trade, Bite-Back’s campaigns are working to devalue a dead shark. Biteback and Sea Shepherd are targeting any business that profits from the sale of jaws, cartilage, fins, teeth, meat and liver oil and encourage them to stop. Bite-Back and Sea Shepherd are planning the next peaceful protest in Chinatown on Saturday 26 July. Also in the firing line is Holland & Barrett for its continued sale of shark cartilage capsules and non-commitment to back down. Already more than 1,000 Bite-Back supporters have emailed the health store chain, leaving the group with no other alternative then to instigate a nationwide series of peaceful protests outside the offending stores. IS IMPORTANT TO DIVE WITH DAN ? The Blue Hole is a perfectly circular limestone sinkhole more than 300 feet across and 412 feet deep. The array of bizarre stalactites and limestone formations which mould its walls seem to become more intricate and intense the deeper one dives. Near to The Blue Hole, one of Belize's largest protected areas, Half Moon Caye Natural Monument, encompasses 10,000 acres of the atoll and 15 square miles of surrounding waters. The diameter of the circular reef area stretches for about 1,000 feet and provides an ideal habitat for corals to attach and flourish. The coral actually breaks the surface in many sections at low tide. Except for two narrow channels, the reef surrounds the hole. The hole itself is the opening to a system of caves and passageway that penetrate this undersea mountain. In various places, massive limestone stalactites hang down from what was once the ceiling of air-filled caves before the end of the last Ice Age. When the ice melted the sea level rose, flooding the caves. The temperature in the Blue Hole at 130ft is about 76F with hardly any change throughout the year at that depth. For all the practical purposes the over 400-foot depth makes The Blue Hole a bottomless pit. The walls are sheer from the surface until a depth of approximately 110 feet where you will begin to encounter stalactite formtions which actually angle back, allowing you to dive underneath monstrous overhangs. Hovering amongst the stalactites, you can't help but feel humbled by the knowledge that the massive formation before you once stood high and dry above the surface of the sea eons ago. The feeling is enhanced by the dizzying effect of nitrogen breathed at depths. The water is motionless and the visibility often approaches 200 feet as you break a very noticeable thermocline. One can get mildly narked in back-set caves 150' down in clear, still water, filled with 25 to 50 foot long stalactites. Guides pole the group and chum in sharks on a majority vote. Bull, Reef and Hammer Head sharks found here, that look enormous, even from behind the protection of a handy stalagmite. A rare - wonderful dive. 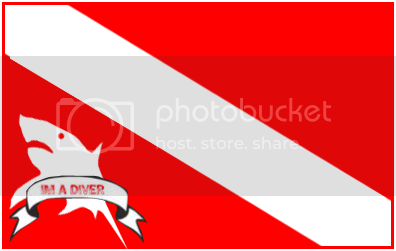 However this is truly a techical category decompression dive, not recommended for newbys or resort dive qualified divers. ( The bottom of Blue Hole is over 400 feet down and the wall slopes back, such that one must have absolute buoyancy control rather than to depend on something to grasp if starting to plummet while descending. Likewise - ballooning is equally deadly to ones health when coming up from 150 plus feet and requires excellent buoyancy control. Decompression times are around10 to 15 minutes at 20 feet.). The best dive guides anchor a spare tank and regulator at your 20 foot deco spot, usually at the permanent mooring anchor located around the rim of the Blue Hole, which your boat moors too. The Blue Hole is a must when in Ambergris, some people liken it to a religous experience. Get the SharkBreak - Online Aquarium widget and many other great free widgets at Widgetbox! 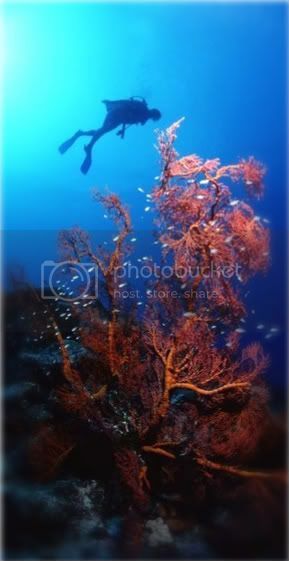 Get the Underwater Digital Cameras & Scuba Diving Vacatio widget and many other great free widgets at Widgetbox! HOW MUCH YOU KNOW ABOUT SHARKS? TEST YOUR SKILLS HERE. The oldest shark fossils date back:? How many different shark species are alive today? Sharks have been said to eat almost anything. License plates, tires and whole cows have been found in the stomachs of a few. But what do sharks eat, normally? And, how do they eat? There are nearly 400 shark species swimming in oceans around the world, so the concept of answering this question in a single article is, well, impossible. Each shark has its own individual food habits and eating styles. There are, however, some consistencies between shark types. The most obvious: All sharks are at least partly carnivorous. But each type of shark has a different hunting habit, and this helps perpetuate a survival of the fittest mode in their particular environment. What’s on the menu is a whole different story. With close to 400 shark species floating around, you could fill volumes cataloguing their individual food habits. While cookiecutter sharks take nonlethal bites of flesh from their prey and call it a day, great white sharks may eat large sea mammals in one big gulp. And certainly the dietary customs of the 8-inch (20-centimeter) dogfish shark vary from that of the 60-foot (20-meter) whale shark, not to mention the different cousins, aunts and uncles in between. In general, sharks prefer to eat fish, squid and crustaceans. All sharks are at least partly carnivorous. They usually consume between 0.5 and 3.0 percent of their body weight each meal since most space their dinners out to every two or three days. Although their bodies are well equipped for catching food, they can't chew well, so they need time to properly digest. Since sharks stand at the top of the aquatic food chain, their diets play an important role in regulating the species below them, much like lions in the jungle. For instance, if large sharks were to die out, that would increase the population of octopus, which in turn would feed on more lobsters. In addition, shark hunting habits help to perpetuate a survival of the fittest mode in their environment. To conserve energy, sharks often target weak, immature or sickly fish or mammals. That weeds out the more vulnerable creatures and keeps the stronger, healthier fish and animals alive.